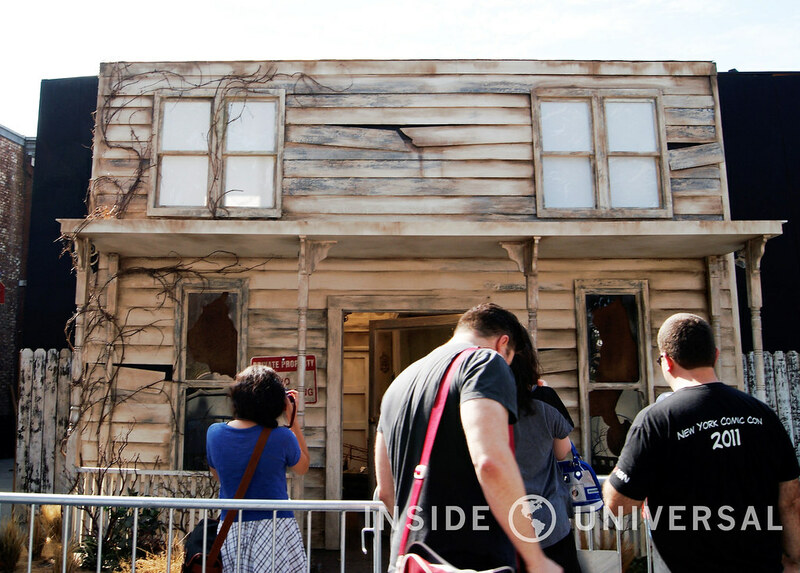 September 13, 2015 – Last Friday, Inside Universal was lucky enough to be invited to take a tour of two of the most anticipated mazes of the upcoming Halloween Horror Nights season, Halloween: Michael Myers Comes Home, and AVP: Alien vs. Predator. 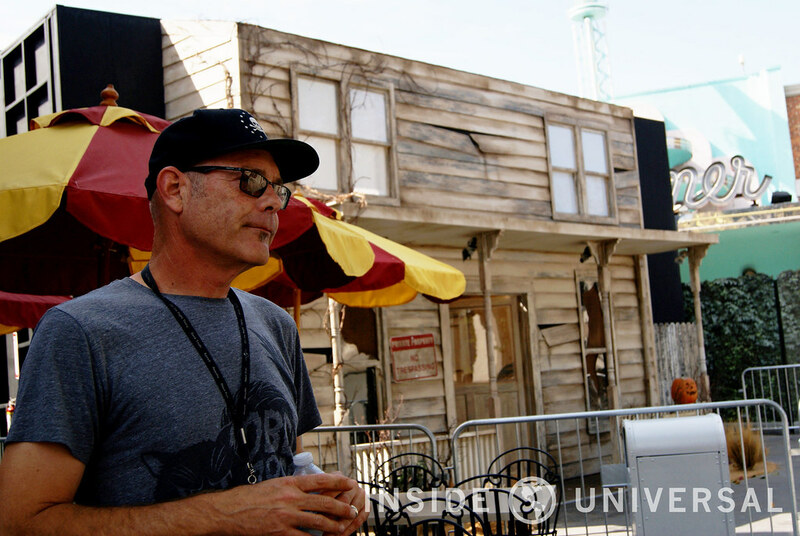 The tours were led by John Murdy, Creative Director of Universal Studios Hollywood’s Halloween Horror Nights. 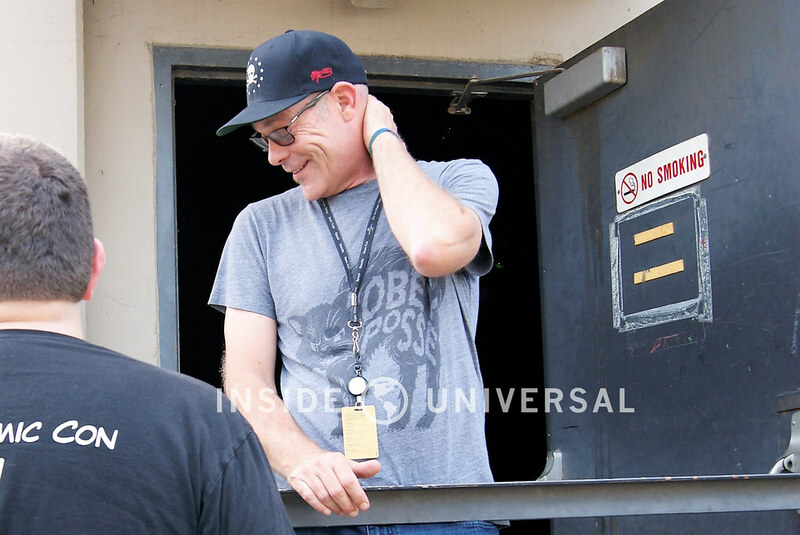 John Murdy and his partner, Chris Williams, are the ones responsible for reinventing Halloween Horror Nights and making it arguably the most popular and most anticipated event each year at Universal Studios Hollywood. Some of their most memorable mazes include Insidious: Into the Further (2013), American Werewolf in London (2014), and A Nightmare on Elm Street: Never Sleep Again (2010). With the return of some favorites such as Halloween, AVP, Insidious, and The Walking Dead, as well as some new attractions including an all new Purge themed Terror Tram, This Is the End and Crimson Peak, this year will be one to remember. 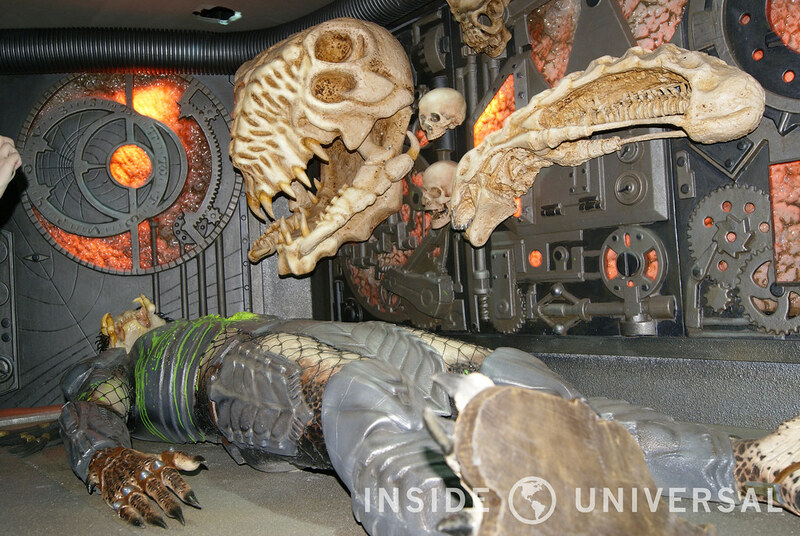 As mentioned above, Inside Universal was given the opportunity to tour two of the mazes mentioned above: Halloween: Michael Myers Comes Home and AVP: Alien vs. Predator. We don’t want to give too much away, however we will highlight some of the important things we learned this day. Halloween is almost always at the top of their list. As we entered the park, John Murdy led us to the first maze, Halloween. Located on the upper lot in the Parisian Courtyard next to Mel’s Diner is Michael Myer’s childhood home, in shambles and for sale by Strode Realty, as we see in 1978 when Michael escapes Warren County Smith’s Grove Sanitarium, where he had been kept since the murder of his sister, Judith Myers, in 1963. As we stood outside Michael Myer’s dilapidated home, John Murdy told us a bit about what went into the creation of this year’s maze. When a horror fan is asked what their top ten all-time favorite horror movies are, Halloween is almost always at the top of their list. That made the decision to bring back Halloween simple! For those of you who remember the 2009 maze, Halloween: The Life and Crimes of Michael Myers, you might recall that you entered the maze through the 1963 version of the Myers home. Since the focus of this year’s maze is of Michael Myer’s coming home, Murdy and Williams decided to have guests enter the 1978 version of his home as it’s falling apart. One thing to take note of while you’re waiting in line: keep an eye on the upper right window. You might see a young Michael do something quite horrible to his sister Judith. As you enter the maze, you meet young Michael for the first time, standing at the top of the stairs with his clown costume on and knife still in hand. The décor of the house, while torn apart, is decorated like you would see in any 1970s home. When you leave the first room, you go down a hallway and meet Michael again, this time as a grown man. We won’t reveal where, however we will reveal that a 50/50 mirror trick is involved to create an almost ghost-like appearance. In the next room, we come across a shrine Michael built for his late sister Judith. Complete with pictures, melted candles (originally solid, these candles melted as a result of the 110 degree temperatures inside this maze), and a familiar, half-eaten friend. For those who recall from the movie, there is a scene where Dr. Loomis and the sheriff encounter a devoured dog, and Loomis states that Michael must have gotten hungry. While we never see the dog in the film, Murdy and Williams made sure we not only saw the dog, but we will smell him, too. 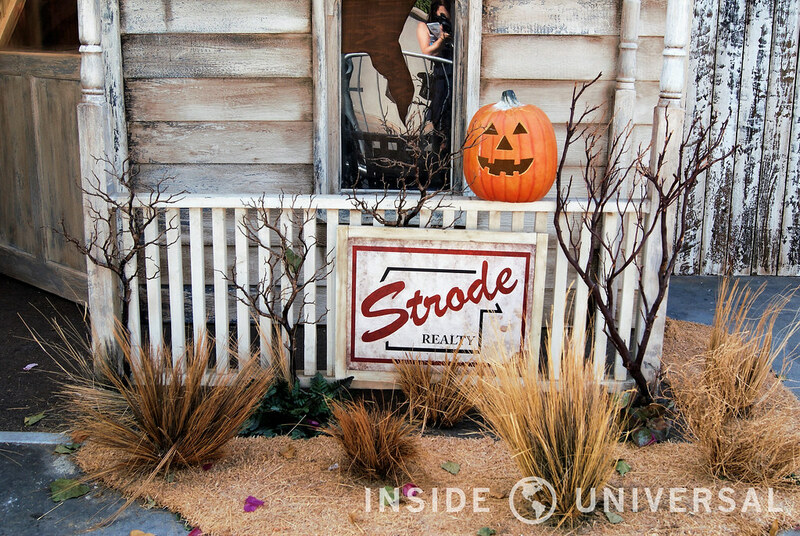 Something else to notice, in every picture of Judith Myers, her eyes are scratched out. It seems as if Michael couldn’t stand to have his sister looking at him. Be aware of your surroundings in this room. 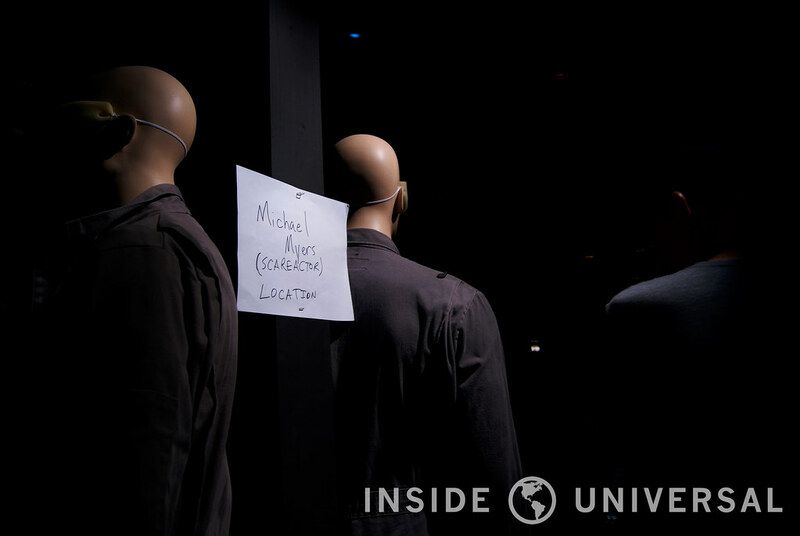 You never know where Michael can hide. As you approach the babysitter’s house, you’ll be greeted by some trick or treaters with some very familiar Silver Shamrock masks. You may recall from Halloween III: Season of the Witch, that Michael never makes an appearance. However, John Murdy wanted to pay homage to this film in his maze. But don’t get too distracted, because like Tommy Doyle, you’ll swear you saw the boogeyman, too. 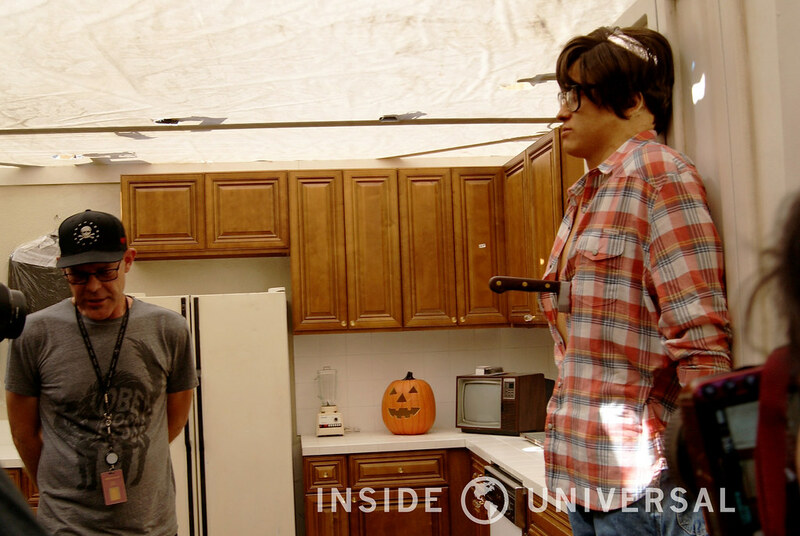 When you enter the babysitter’s house, you’ll see poor Bob, hanging on the wall by the knife in his chest. He never had a chance! He came down to get a beer, got distracted by the TV and then it was too late. Don’t make the same mistake! Or else you might become the next piece of Michael Myer’s artwork. Once you leave the kitchen and go down the hall to Lynda’s room, you may notice some 1970’s era pictures on the wall. An interesting fact that one of the prop decorators told us was that these photos were not, in fact, stock photos from the internet. 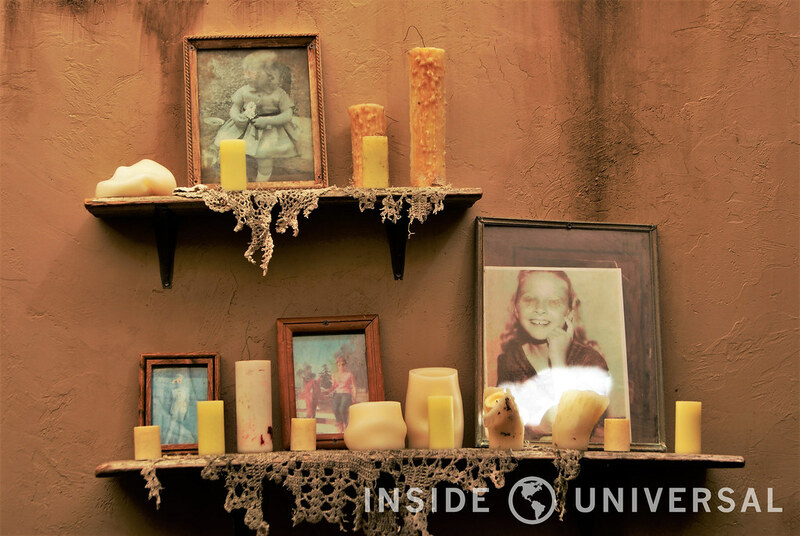 Rather, these photos come from the homes of many of the prop and set decorating crew! Just something for you to take note of as you move your way into the next room. This next scene is one that is repeated from the 2009 maze, and for good reason. This carefully choreographed scene features Michael Myers and Lynda as she is strangled by the telephone cord around her neck. While it may look as if he’s holding her up by this cord, there is not one moment in this entire scene where any pressure is put on the actress’s neck. In fact, she has a necklace on that looks like the cord of the telephone so that when she tugs at the cord while Michael is behind her, it gives the illusion that she is actually being strangled. This promises to be a very impressive scene! From Lynda’s death scene, you will enter the same room again, this time decorated by Michael Myers, complete with Judith Myer’s headstone, and Bob and Lynda stuffed in the closets. 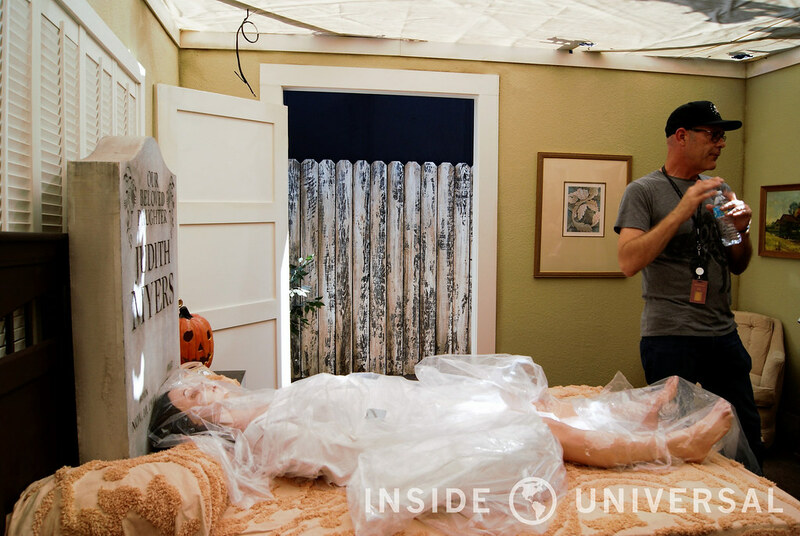 Running from this room, you’ll find yourself in a maze of sheets, adding to the suspense and paranormal atmosphere, never knowing when Michael’s going to pop out next. You can’t kill the boogeyman. Finally, we reach the last stretch of the maze back at the Myer’s house. This time you’ll come across another carefully choreographed confrontation between Dr. Loomis and Michael Myers. Much like the fight scene in Halloween, Dr. Loomis tries to kill Michael. But you will soon learn, you can’t kill the boogeyman. Hanging out with John Murdy has rubbed off on us, and as a result, we’re not going to give away the final scene. You’ll just have to go and see it for yourselves! After a lengthy, and incredibly hot look inside Halloween: Michael Myers Comes Home, we boarded a van and drove to the back lot for a look inside AVP: Alien vs. Predator. This description will not be quite as in depth because it is the exact maze from the year before. 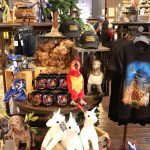 We will, however, give you some insider information we learned while on this tour! 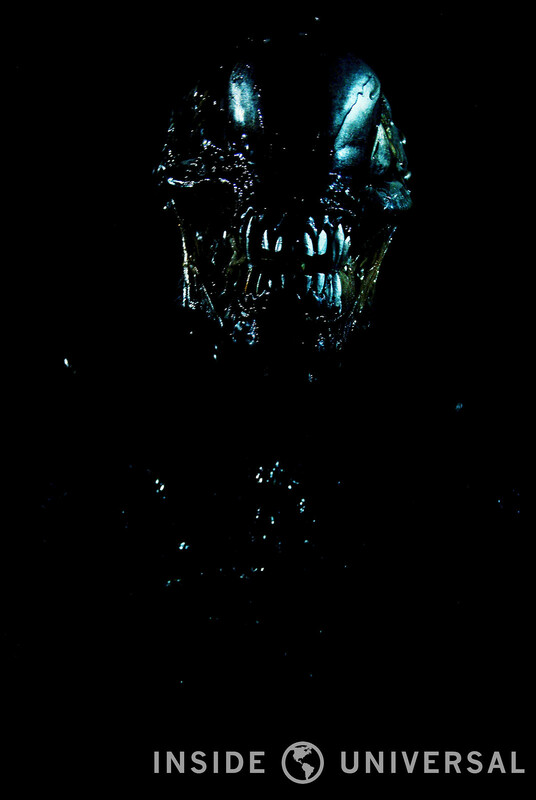 Located in Stage 747 is this year’s AVP: Alien vs. Predator maze. 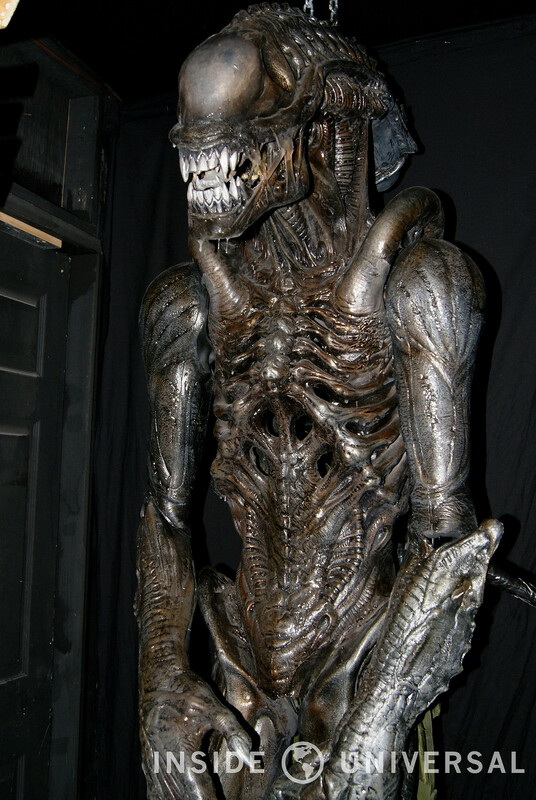 For those who attended last year’s event, you’ll remember that AVP: Alien vs. 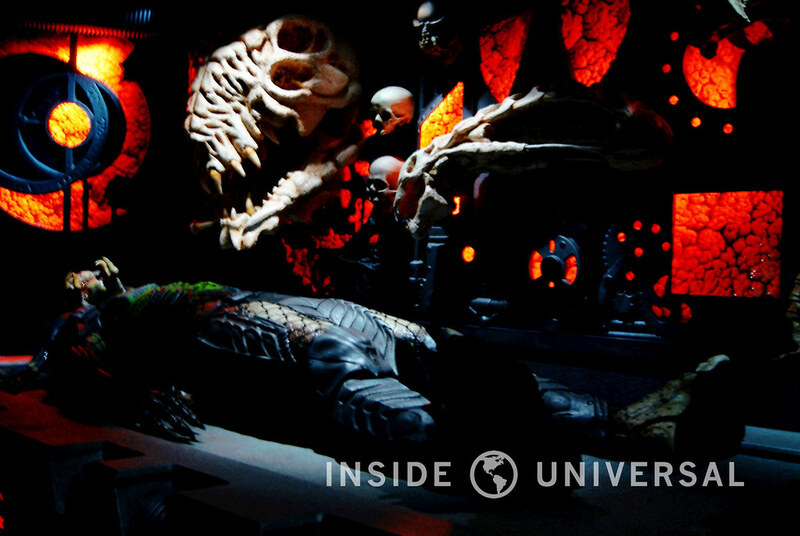 Predator was one of the most impressive mazes in Halloween Horror Nights history. 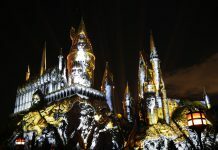 Its use of hyper-realistic sets and props made it one of the most highly rated mazes of the season, so it’s no surprise it is back for another year! John Murdy stated that this was “one of the most challenging mazes we’ve ever done,” and as a result, it was always intended to do this maze twice. 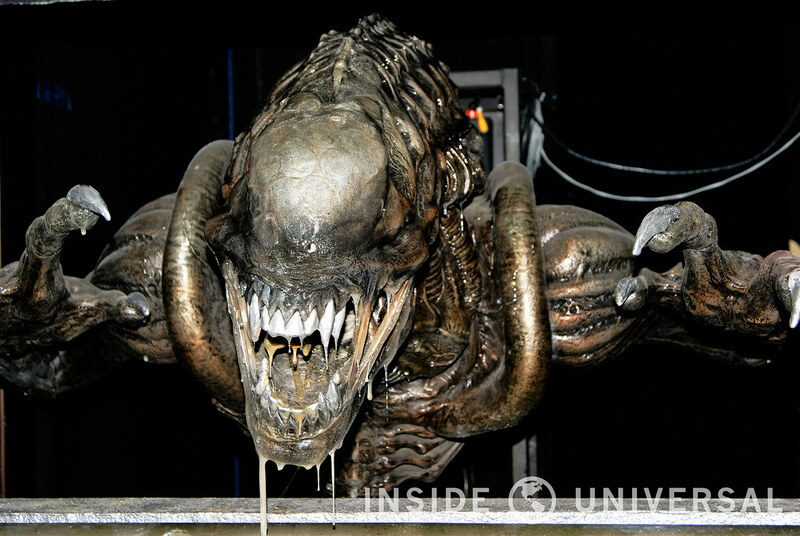 The Halloween Horror Nights team was lucky to work with the team at ADI, the make-up artists responsible for the AVP creatures. 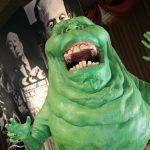 The creative team at Universal Studios Hollywood’s Halloween Horror Nights was given access to the original molds from the film. 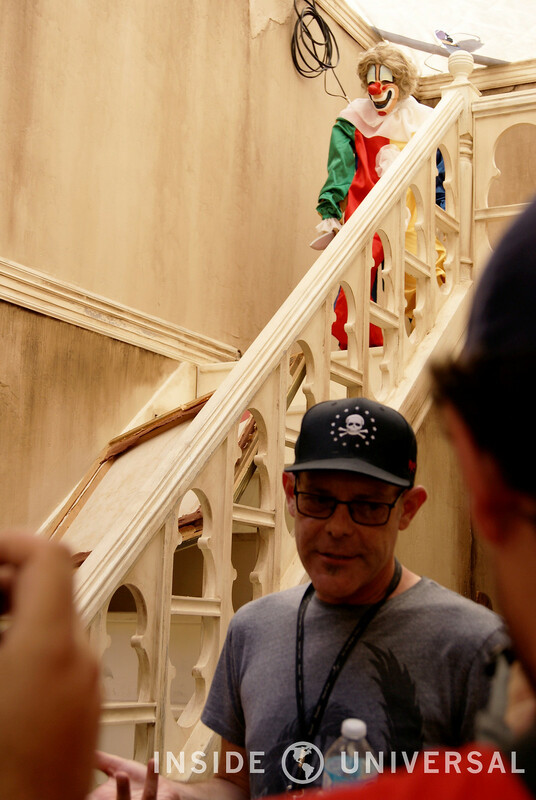 The challenge, however, was to create something that will last through countless scene resets throughout the Horror Nights season from something that was meant to last for a few shots needed for the movie. Despite the challenges, the team overcame every obstacle to create both realistic and terrifying creatures throughout the maze. As mentioned above, the maze is identical to the previous year’s maze with a few tweaks here and there. The reason for this was because it was at the top of the list from the previous year’s guest reviews. You can find a description of last year’s maze here. Overall, we were very impressed by the work John Murdy and his team has done. The love and passion they have for the horror genre becomes more and more evident each year as they continue to outdo themselves. This year promises to be no different. The event kicks off this Friday, September 18th at 7 PM! Tickets are on sale now, but buy them quick because they do sell out. And for season passholders, don’t forget to take advantage of early entry. 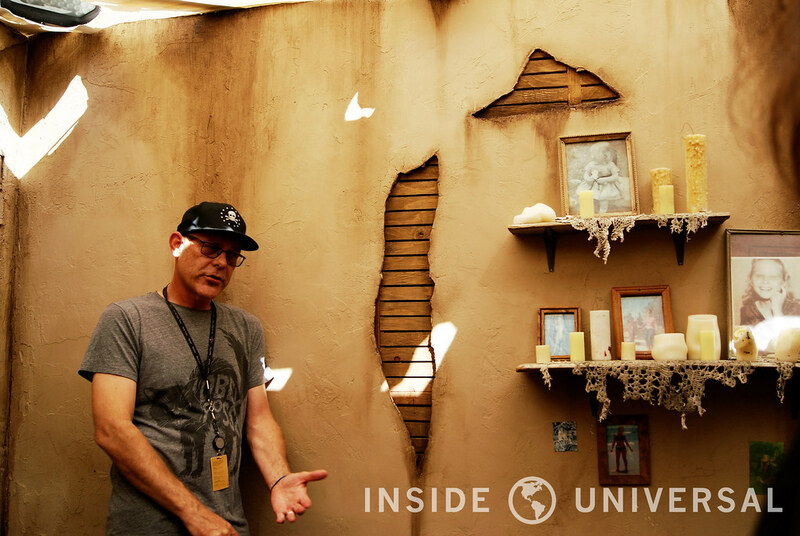 More information can be found on John Murdy’s Twitter: @HorrorNights, or on their website. 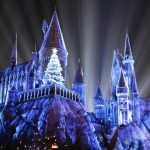 As always, thanks for making Inside Universal your number one source for all things Universal Studios Hollywood and Halloween Horror Nights. 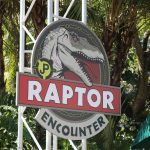 Be sure to follow us on Twitter at @InsideUniversal and on Facebook as we give you live updates from opening night, September 18, 2015. 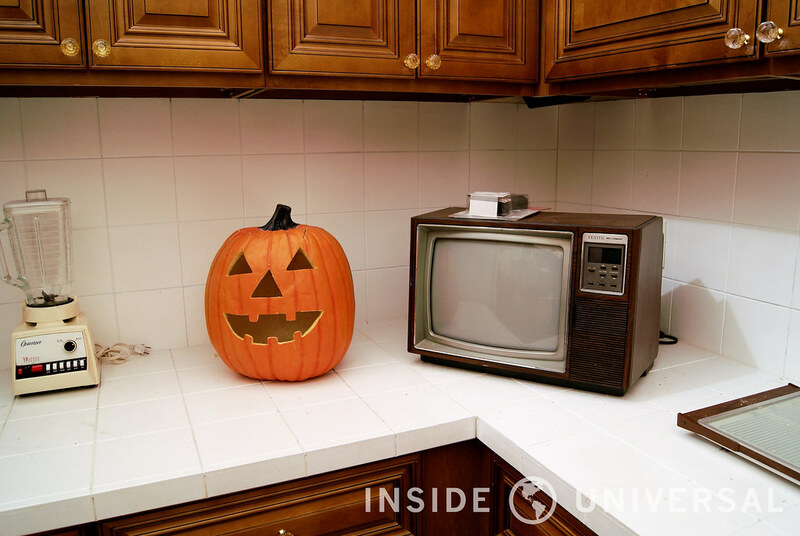 Kaley Cyrino is an editor for Inside Universal. Kaley is a Southern California native who grew up within miles of all the greatest theme parks. 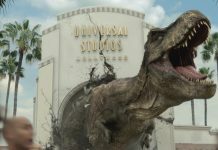 As a nursing student, Kaley finds her peace and sanity by visiting Universal Studios whenever she gets the chance. Her dream is to be able to visit Universal Orlando Resort, Universal Studios Japan, and Universal Studios Singapore. Kaley currently resides in Orange, California. You may reach her at kaleycyrino@insideuniversal.net.